BSP publishes the electricity price index SIPX on a daily basis as public information on market trends. SIPX is the index of electricity on the Slovenian Day-ahead market and is equal to the marginal price calculated on an hourly auction for the Slovenian market. 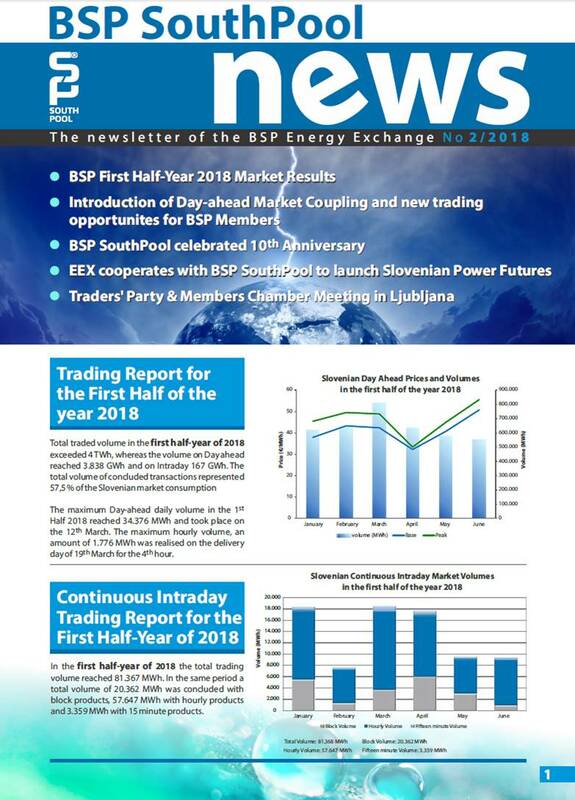 To read more about the calculation of SIPX please open the Definitions of market indices of electricity (SIPX) at BSP SouthPool link.